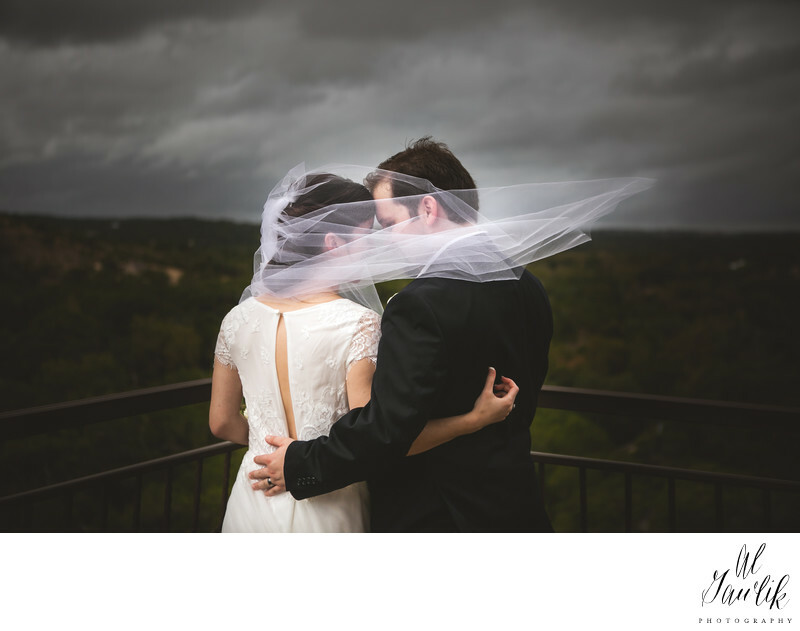 Location: Chapel Dulcinea is the setting for this lovely evening elopement portrait. The couple made their way to Chapel Dulcinea an outdoor wedding chapel just outside Austin, Texas. The picture timelessly captures an intimate embrace as the newlyweds treasure the hill country view from the outdoor chapel. .